Are you ready for an adventure in the remote beauty of interior Alaska? Come north to Fairbanks, Alaska for the 10th annual White Mountains 100-mile ultra race. The race course cuts through the heart of the jagged limestone peaks that define the White Mountains National Recreation Area. 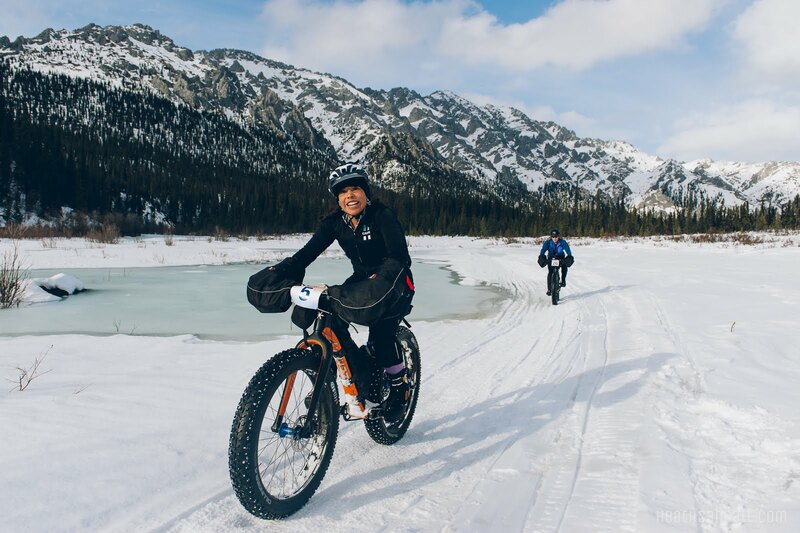 This rugged wilderness will challenge racers with a variety of terrain and trail conditions, satisfying even the most experienced winter athlete. Steep climbs, bowel-clenching descents, sharp turns, areas of active overflow, glare ice, tree stumps, roots, and bare tussocks are all part of the White Mountains trail network. Sub-zero temperatures, strong winds, along with blowing and drifting snow may add to the excitement. Traverse this diverse landscape on skis, bike, or just your feet. The 2019 roster can be found HERE. LOCATION: White Mountains National Recreation Area, Wickersham Dome Trailhead, Milepost 28 Elliott Highway (approx. 38 miles north of Fairbanks, Alaska) -- Map available here.